Evil is everywhere. Cold-blooded murder can bring you some cash. Just catch the murderer with It's a Mystery! slot released by RTG. It is rather a new game released in 2011. Plenty of bonus options, progressive jackpot and WIN-WIN feature guarantee you a good mood. Created in 5 reel 25 line format this game offers you to dive into the atmosphere of mystery, conspiracy and dark secrets. Join the detectives and solve the case. USA players are also welcome. 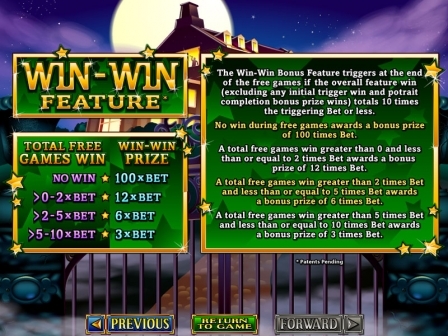 There are two types of progressive jackpots available. You can win Major Jackpot that starts increasing with the minimum of $1,000. Or you can get the Minor Jackpot that starts with $100. They both hit at random. It means no extra bets to place, no special combos to get on the payline. You can win some of these prizes absolutely at random after any spin. No matter how much you bet and how much you win during the main game. It is all about luck. Just catch your chance. To solve the case you should pay with the coin sizes ranging from $0.01 to $5.00. Thus, if you want to play with all 25 lines, you should play with 25 coins in total. Just let's count the minimum and maximum options to distinguish the limits. So, the minimum is $0.25 while the maximum is $125. 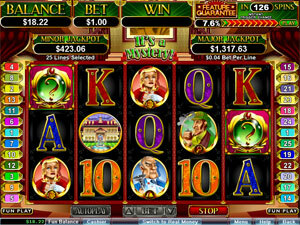 As you can see this slot is good for high rollers as well as for small-budget-players. The top jackpot is 7,500 coins. You will get it for 5 Question Mark (?) symbols on the payline. Of course, the higher your coin size is the higher prize you will win. 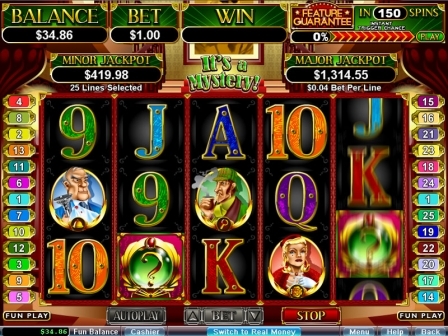 Thus, with $5.00 bet per line you can convert this top jackpot into $37,500. The Question Mark (?) icon is the wild symbol. It will substitute for other symbols and complete the combos. As you have already noticed, this symbol also can bring you the top jackpot. Your task is to get 5 of them on the payline and 7,500 coins are yours. Logo is the scatter symbol. Depending on the number of scatters on the reels you can get some prizes. Thus, for 3, 4 and 5 Logo symbols on the reels you will get 2, 10 and 200 times multipliers accordingly. These multipliers work for your total bet placed. Of course, the highest prize is with the maximum option of $125. In this case you can get $25,000 for 5 scatters. To trigger up to 50 Free Spins you should enter Portrait Puzzle Feature. Just get 3 scatter symbols and you will see a portrait puzzle. Click “Press to Start Feature” and the portrait will shuffle at random. Now look for the pieces of puzzles that find their right place in the picture. For every right puzzle you get some award. The shuffle continues till the portrait is complete... or when the amount of shuffles ended. Note that it depends on the quantity of scatters triggering the feature. Thus, the possible highers prizes to win are 50 Free Spins and 6 times multiplier that is active during Free Spins. 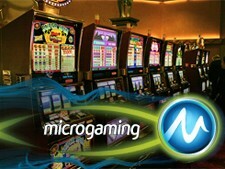 Just imagine you can increase the top jackpot up to 45,000 coins or $225,000. If you managed to complete the portarait during this feature, you will be awarded with 500 times bet multiplier. Moreover, if you get 3 scatters during free games again, you activate extra 10 Free Spins. You also can activate Feature Guarantee meter. It means that during 150 spins you should activate bonus feature. If not, it will be triggered at once. Another option to consider is Win-Win Feature. It works with your Free Spins prizes. If they are lower than 10 times of your bet. If you win nothing at all, you will get 100 times total bet multiplier. 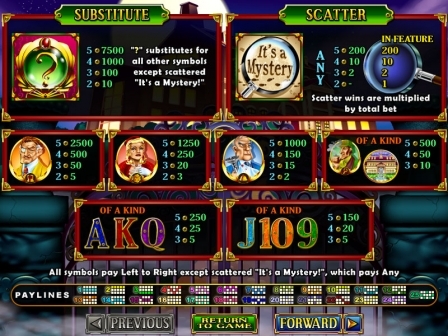 Actually, there is another slot game with Feature Guarantee. Just try Hairway to Heaven it to win.